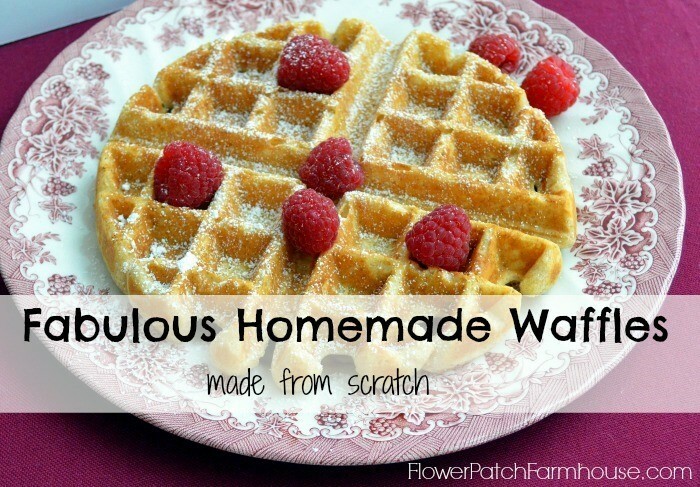 The Best Homemade Waffles from Scratch! The Best Buttery Homemade Waffles! (this post contains some affiliate links) Click here to see my full disclosure policy. I have used a variety of waffle makers over the years and my go to favorite is the Waring Pro Belgian Waffle maker. 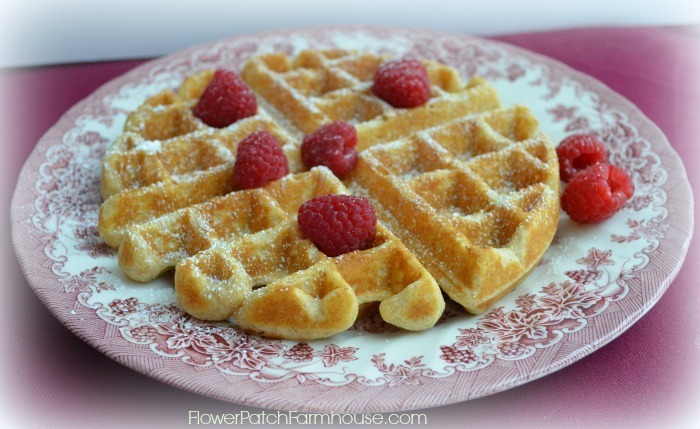 It pops out these fabulously delicious waffles in no time and they are done to perfection. If you have a family to feed they now have a double one that cooks two waffles at a time. Waring Pro Double Belgian Waffle Maker. These circles of deliciousness are pillowy soft on the inside while crispy on the outside. They are at their best eaten straight from the waffle iron. But if you need to serve a crowd and want to keep some warm while cooking the rest just let them cool slightly on a rack as they come off the waffle iron (lets some of the steam release that will make them mushy)then line them up on a baking sheet and keep them in a 200 degree oven. We live at a higher elevation, 4000 feet so I have to adjust a bit. I will post the original recipe, which comes from my now vintage Betty Crocker cook book and my adjustments will be in parenthesis. No baking mixes here, homemade waffles from scratch. A taste treat for the entire family! To keep them hot and crispy while making the other waffles, place the waffle on a baking sheet individually, not stacked, and keep in warm oven at 250 degrees. Adapted from a 1980s Betty Crocker cook book. 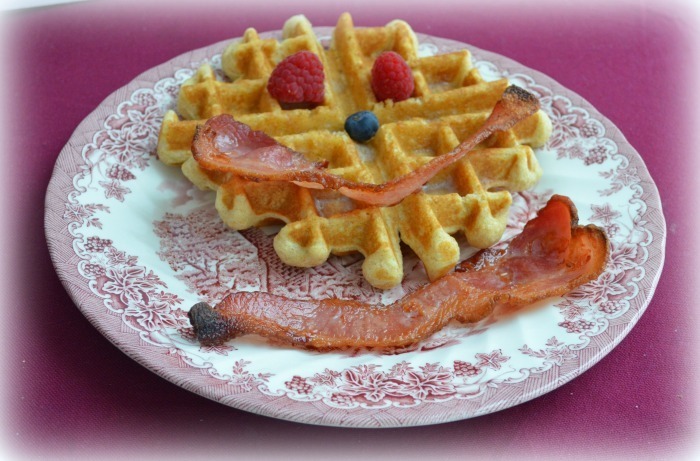 You can make breakfast fun too by decorating your waffles, the kids love this. These make a great base for desserts too! Visiting via the Clever Chicks Blog Hop! Especially the older cook books, I have found many of the recipes in them to be a bit richer in flavor. these waffles are so tasty (most likely the tons of butter in them) that you don’t even need syrup to enjoy them.